Since the US Navy SEALs came into existence in 1983, they have become famous for their daring missions, advanced and unconventional tactics, hard training and hard-fought successes. SEALs have taken part in numerous conflicts ranging from Grenada in 1983, the invasion of Panama and operations in Somalia, Bosnia, Haiti, and Liberia. Most recently, SEAL units have participated in the ongoing missions of Operation Enduring Freedom in the war in Afghanistan and Operation Iraqi Freedom in the war in Iraq. Now in paperback, this bestselling book from respected authors Mir Bahmanyar and Chris Osman offers readers a focus on modern combat operations between 1983 and 2006, examining various combat operations, the Navy SEAL training regimes, and the development of tactics and weapons. It includes first-hand accounts from SEALs on the ground, including revealing accounts from those currently involved in operations in Afghanistan and Iraq. 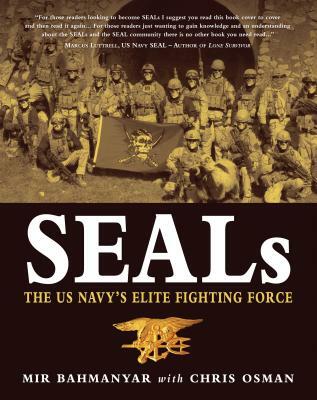 This is an eye-opening insight into the shadowy and mysterious world of the US Navy SEALs, guaranteed to appeal to anyone with an interest in modern military operations, current events, and even those interested in becoming a Navy SEAL. Mir Bahmanyar was born in Iran, educated in Germany and received his BA in History from the University of California at Berkeley. Mir served in the US Army's 75th Ranger Regiment and has written several books on their history. Mir is also a feature film producer and screenwriter. In 2006 he produced and co-wrote the multi-award winning film Soldier of God. He currently resides in Los Angeles.